Ferndown Plantation Shutters from Just Shutters, your local Dorset experts. 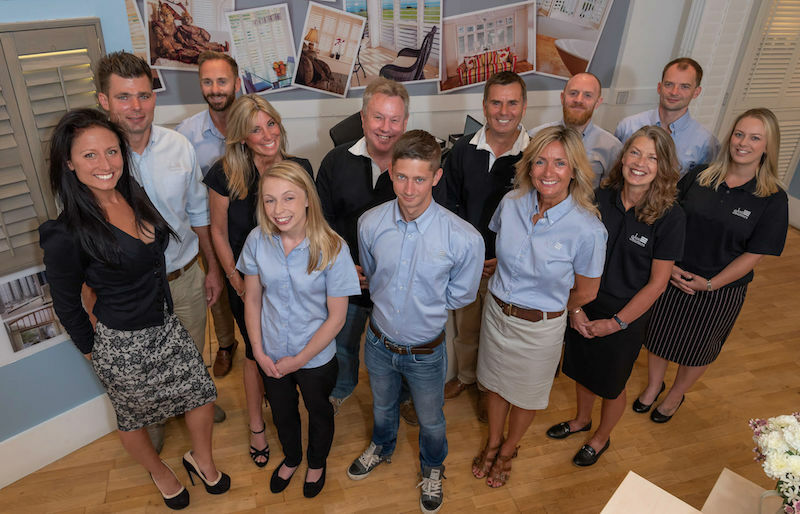 We are proud to be Dorset’s longest established specialist shutter company. Combining the very best quality, service and value. Wrapped up with our market-leading lifetime guarantee. Call us on 01202 240769 or contact us here for more information or to book a free home design visit. Over the years we have put particular emphasis on customer service. Customers value highly the personal care and local expert advice offered by Just Shutters. We know every home is different and every customer has their own unique taste and style. Furthermore, with the UK’s largest selection of shutter styles and finishes (including our own exclusive ranges), we have something special for you, whatever you needs. To browse our extensive collection click here. From your initial design visit throughout your order and installation, you will be listened to and guided by the experts. Customer satisfaction is at the very heart of our business. Our name says it all; Just Shutters. We do nothing else, shutters are our speciality and our passion. We are not a blind company who fit the occasional shutter. Shutters are our only focus and it shows in the craftsmanship we put in to every single shutter. 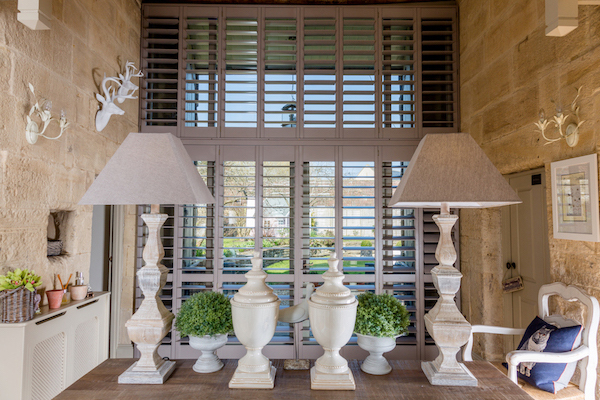 Our individually designed, made-to-measure shutters are as unique as you are. They perfectly enhance your windows and doors whatever the shape, style or size. We WILL create breath-taking solutions – whether your tastes are traditional or modern, bright or chic. Because shutters are so very beautiful, it is easy to overlook their highly practical benefits. A room with shutters benefits from unrivalled light and shading options. Shutters can make small rooms feel bigger and brighter and make the most of any window or door. For inspiration, view our stunning photo galleries! Furthermore, we offer our signature Just Shutters lifetime guarantee!